One of the things I need nowadays should be having an instant effect in some sort of. Having a long hair, eventhough it's thin, has become a burden on my mind to think about how early I should wake up every day just to wash it through and dry it before I go to work. Another problem beside my laziness is my thin hair it self. I've read so many articles about washing my hair every other day to help it stay in my scalp much longer, so I try to spare as much time as I could in between my hairwash schedule. Thin hair pairs with oily scalp didn't help much with my effort to keep my big head from balding. One product I could think of would be a dry shampoo. 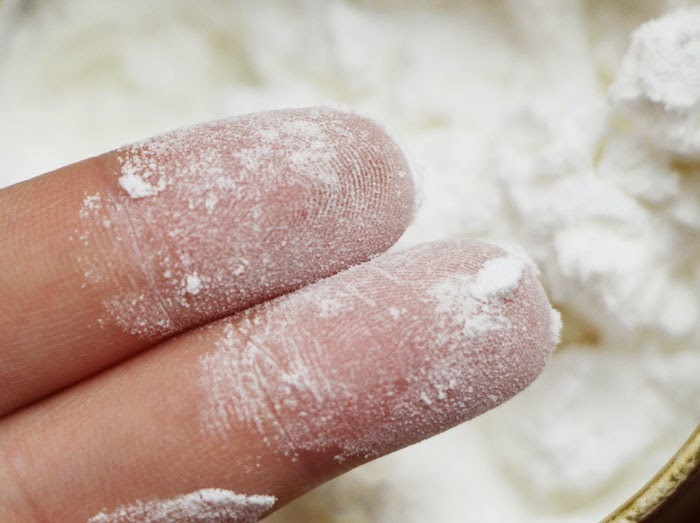 I've tried using baby's powder and a transparent loose powder, but it didn't as well as I hope it would be. I have seen this powder dry shampoo around on instagram but I was still uncertain about how it'll work. 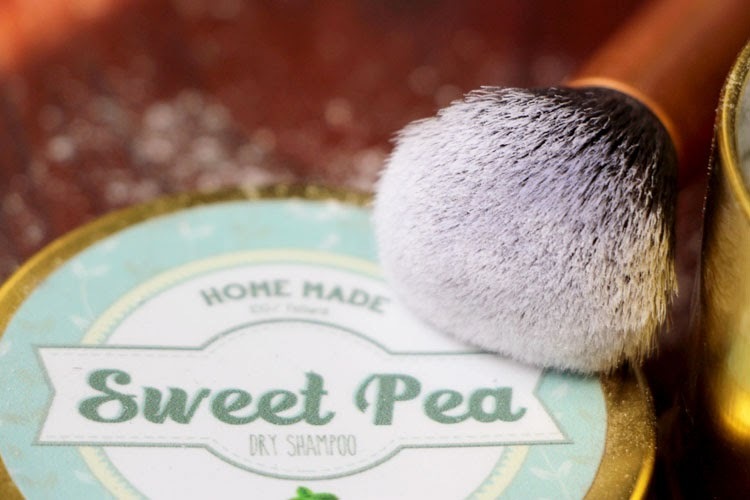 And then an offer came from Sweet Pea Dry Shampoo to try their homemade powdered dry shampoo, so I said yes! 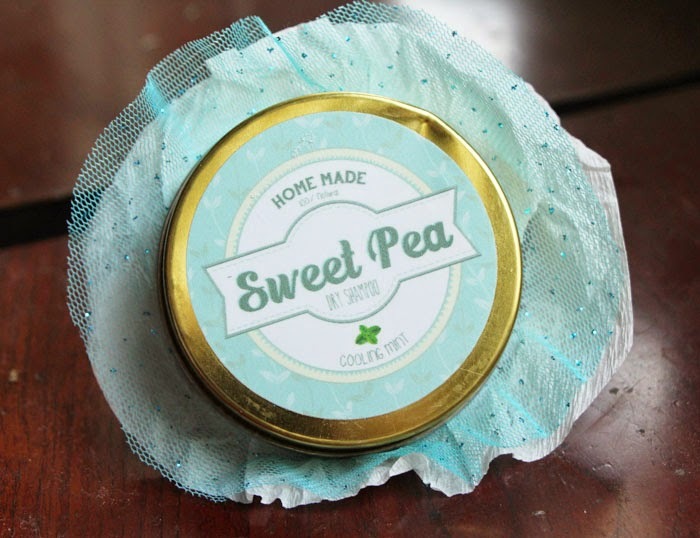 They have a very sweet and girly packaging with glittered frills decorating a cute tin cap. Although, aside from it's cuteness, it is lacking of the instant and quick aspects I really need from these kind of product. I usualy use the Batiste Dry Shampoo, which I know it should be quick since it's in a shape of an aerosol spray. But maybe this tin could be taller and thinner with a shifter top like a salt and pepper kinda container, so I could use it faster. Anyway, I chose my favourite color green which is the variant of Cooling Mint. 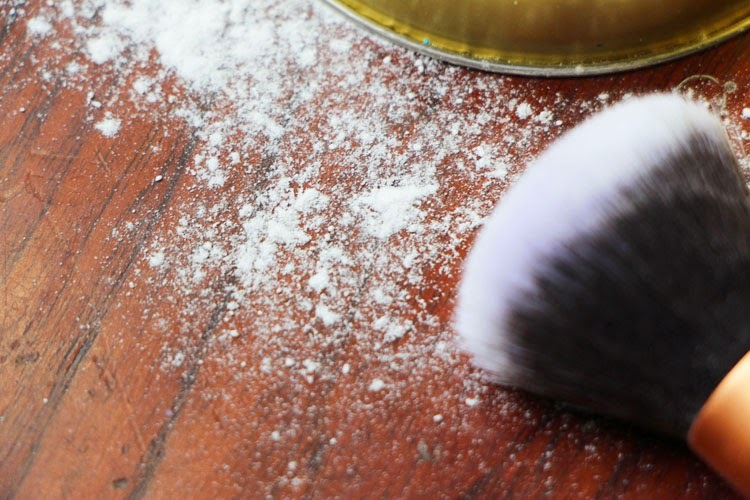 When I touch it with my fingers, it's not a very soft powder like the usual face loose powder, it has some texture that feels like the texture of sago. 1. Dip the brush inside the tin. 2. Tap it off on the side with the brush being in a vertical position. 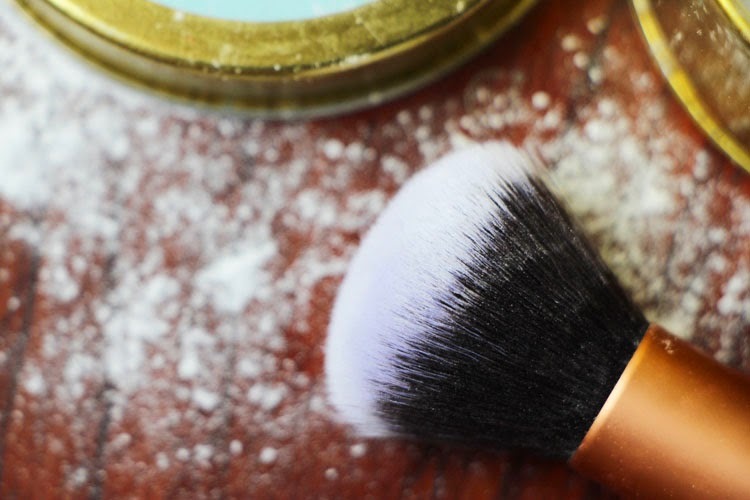 If the brush is in a horizontal position, the powder will get messy when I try to tap it off. 3. 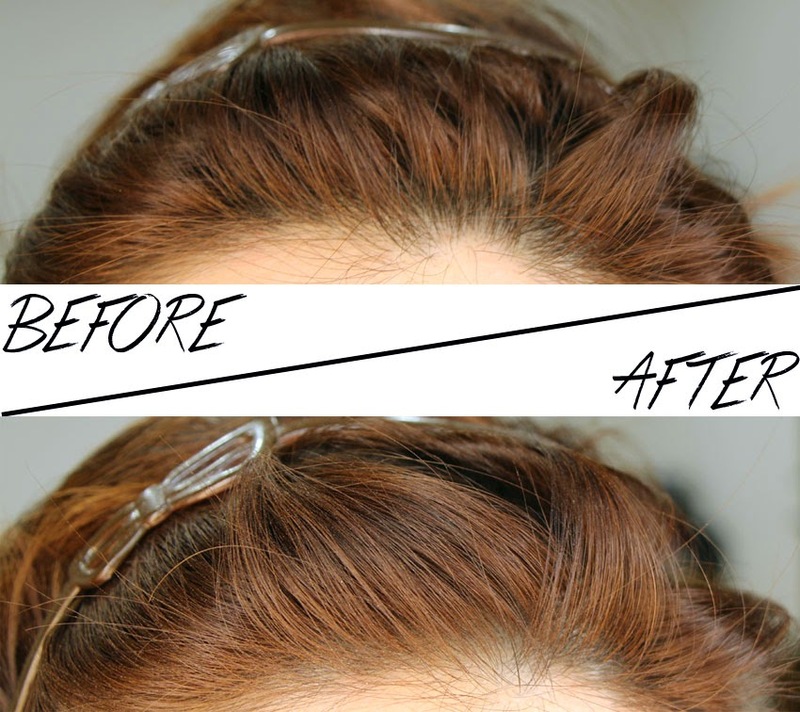 Spread the product evenly all over your oily scalp. 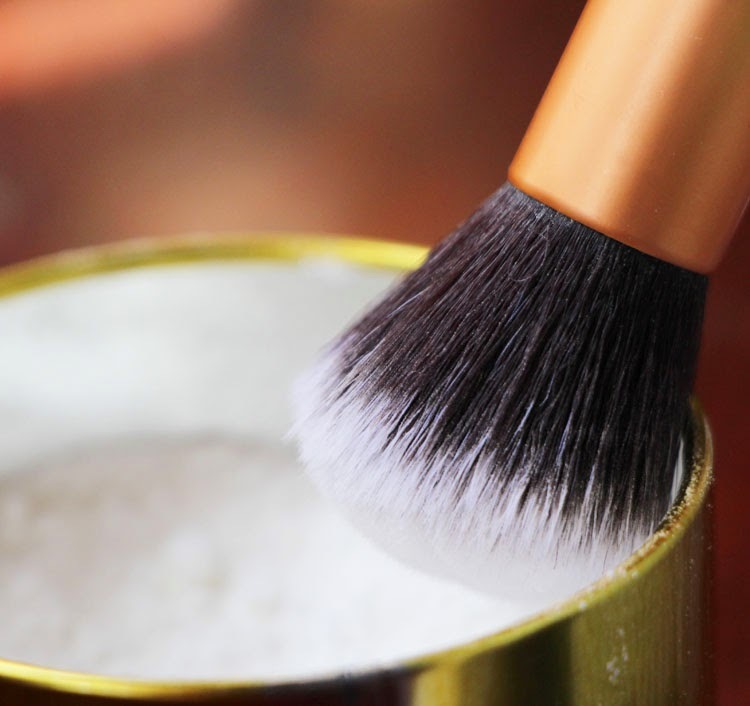 I like to use a dense brush so I can push the product right onto my roots. 4. 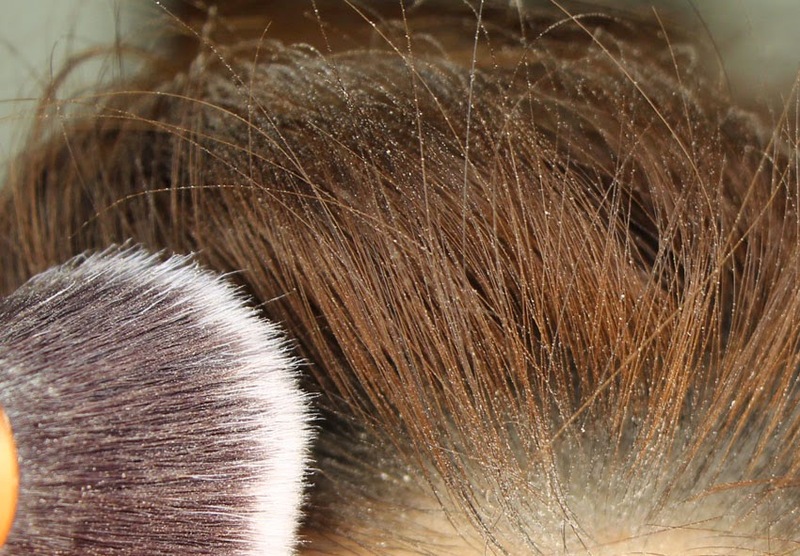 Brush all over the head until the product is evenly distributed. 5. Style it like you mean it. I will most likely put headband over my second and third day hair. This dry shampoo has definitely gives my hair a fresh look by absorbing my excess oil while at the same time, the powder give my hair a nice body and volume so I could have a nice bang boufant. 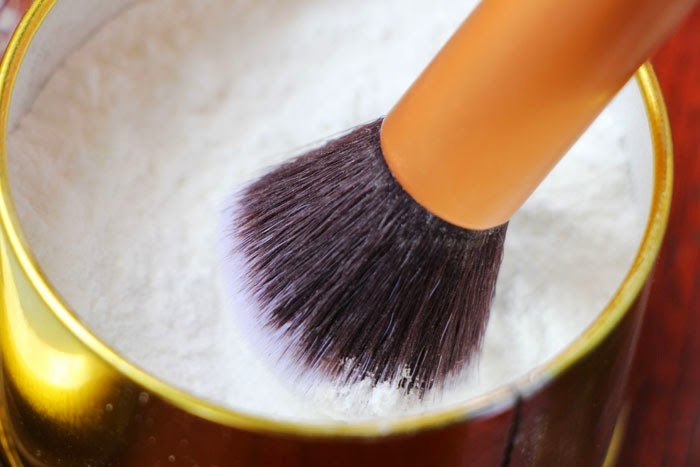 Be careful not to put too much on your scalp since the powder is not fine enough, so people might think you have dandruff all over your head. Just use it sparingly and add a bit at a time until you think it's enough. Too much of it will just create a product build up on your scalp. It could also be used on freshly washed hair to add volume and body, just make sure you've dried your hair completely before you apply it. Unless you want some pancake batter stuck on your roots. Another problem I have is, since I would use it in a quick cowboy mode, I often get an uneven finish due to the time I have, to apply it in the morning. And that's about 2 minutes roughly altogether with styling my hair. Overall, I love this product for the result it gives me, but I think it needs some improvement on the packaging area to make it easier for the consumer to use it. 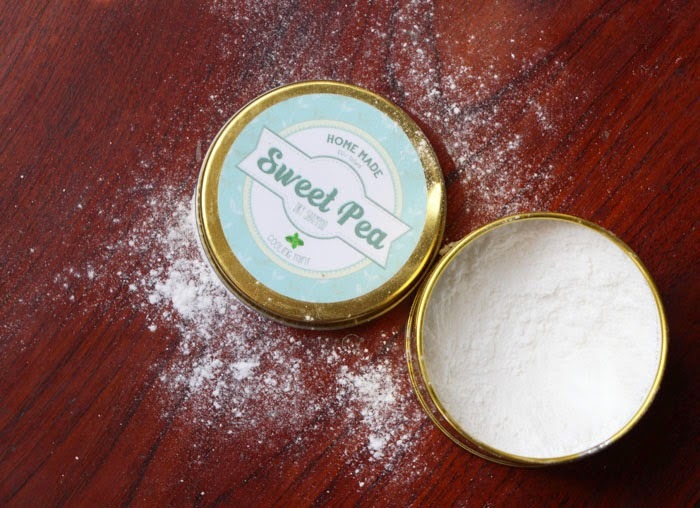 If you're interested on trying this powder dry shampoo from Sweet Pea, you can get to their insta page HERE to browse around their products and testimonials. 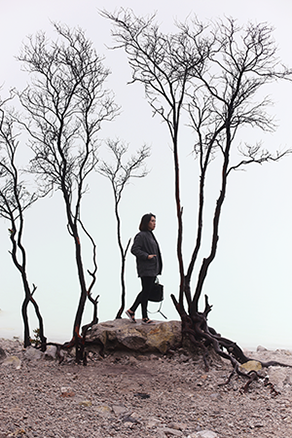 It retails for IDR 55.000 but you can use the code "endorsebyvani" when ordering to receive an IDR 5.000 discount. Interesting that it's a powder too!! Hi van, sorry for late respon. Aku baru baca email km~~makasiii yaa reviewnya yg okeee.. hihihi.. untuk packagingny so far udh dilakuin tambahan design di kemasan, thank you buat masukkannya dan review yg okeee..